Transform your borders easily and quickly! Flowers in just 6 weeks from sowing! Dobies have been working with breeders in France to produce quality mixtures of the type you see on the roadside verges abroad, which are now increasingly being used by highway agencies over here. Sow Mar-Jun to flower Jun-Oct. P.S. 15cm (6”). Each packet contains sufficient seed to sow an area of 1sq. m.
For those who love and want to encourage butterflies and bees into the garden from year to year. Many of us know that our garden pollinators are in danger and if they are not there our vegetable and agricultural crops will not flourish. 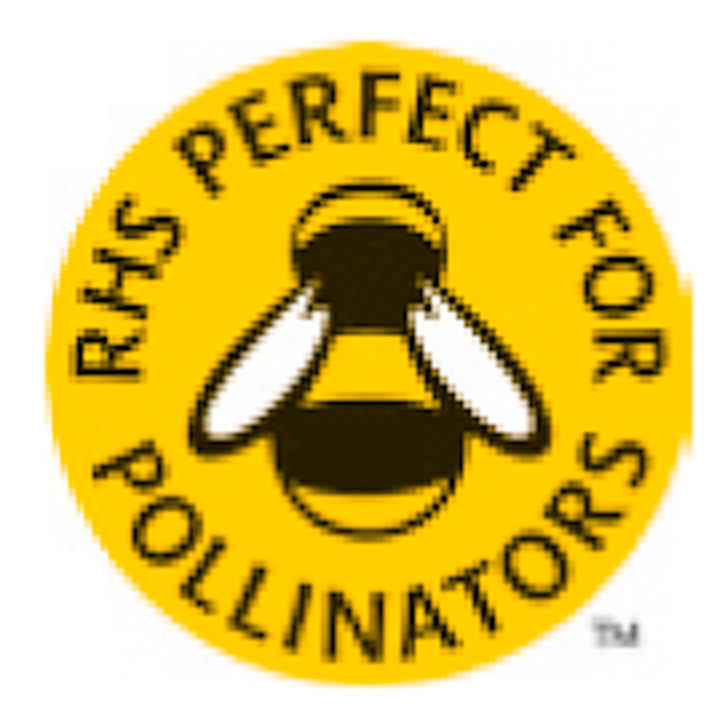 Our mixture is formulated to suit the insects needs in producing pollen and nectar at the appropriate time in their life cycle. Yet you still get a colourful garden – the best of both worlds! 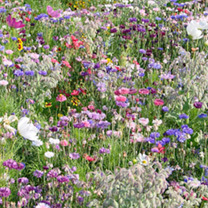 Mix contains up to 20 varieties including cornflower, lavatera, sweet william and lupin. Many of us take great time and trouble about producing flowering bedding schemes for the garden. Increasingly though, those carefully raised plants are becoming confined to hanging baskets, tubs or small borders, with larger borders turned over to perennials or lying idle. Hence Dobies have been working with breeders in France to produce quality mixtures of the type you see on the roadside verges abroad, which are now increasingly being used by highway agencies over here. Our task has been to create mixtures that will flower very quickly after sowing, yet continue to flower through the summer. 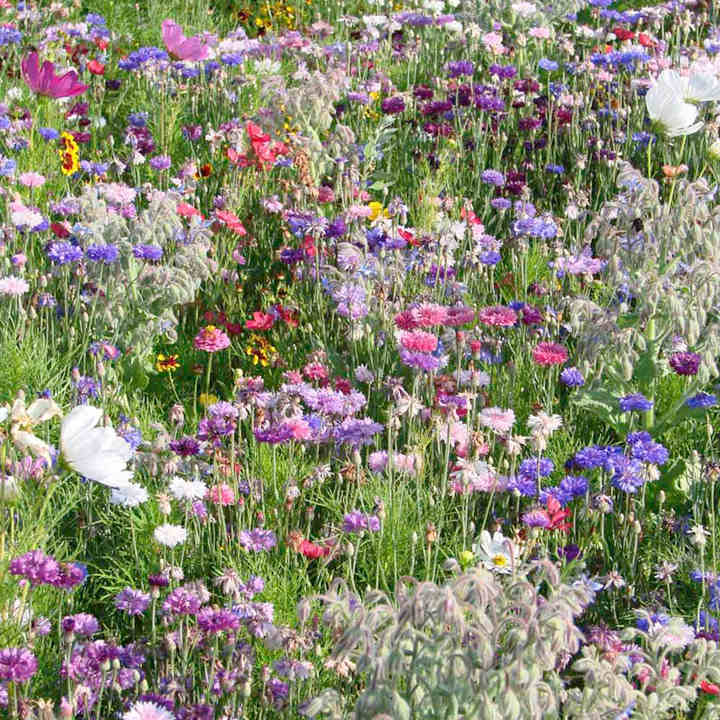 The beauty is that the appearance of a border can change virtually every week as further varieties come into flower. These mixes are great to get the kids growing and make a nice present for young couples just starting in a new home! Sow March-June to flower June-October. Suggested plant spacing 15cm (6"). Each packet contains sufficient seed to sow an area of 1sq. m.